Overweight and obesity are defined based on body mass index (BMI), which is determined as weight (kg) divided by height2 (m). A healthy BMI range is 18.5–24.9 kg/m2. Overweight is defined as a BMI from 25–29.9 kg/m2, and obesity is defined as BMI ≥ 30 kg/m2. Obesity can be further subdivided based on subclasses of BMI as shown below. Waist circumference can be used in combination with a BMI value to evaluate health risk for individuals. According to the latest statistics over a third of our children aged 2-11 are overweight and of those, half could be considered obese (Read more…). Knowing that diabetes, heart disease and certain cancers are directly linked to the amount of body fat we carry and the types of foods we eat, the prevalence of these diseases are expected to sky rocket. The statistics show that diets alone don’t work. Physician and author Dean Ornish, a physician and president and founder of the nonprofit Preventive Medicine Research Institute in Sausalito, California, as well as Clinical Professor of Medicine at the University of California, San Francisco. reports that 66% of dieters regain all their weight within one year, and 97% gain it back within 5 years. When we starve our body we lower our metabolism and essentially turn off our fat burning furnace because our body stores the food we eat as fat to ensure that we have lots of fat for the next famine. This viscous cycle trains our body to store food as fat. Avoid prolonged fasting and have a regular diet (3 meals, 3 snacks). Eat protein at every meal and eat only protein for breakfast – an egg, a chicken breast, a protein shake, protein powder in yogurt for example. To make it simple the piece of protein should be the size of your palm. A minimum of 1 g/kg/day of high quality mixed protein intake is required to maintain your lean body mass (total body mass minus body fat mass) and other vital bodily functions. To avoid protein breakdown, muscle wasting and harmful changes in fluid-balance, make sure to have a minimum carbohydrate intake of 100 g per day (400 kcal/day). Moreover, complex carbohydrates such as kidney beans and green vegetables that are high in fiber have a low glycemic index; therefore, they are associated with greater satiety since their digestion takes more time compared to the simple carbohydrates (e.g. table sugar, brown sugar, corn syrup, honey and so on). Stop eating all white foods (i.e white bread, white pasta, white sugar, white flour, and white potatoes). If you have a doughy belly then stop eating all grains too; grains are starches that convert into sugars. People lose weight fast when they eliminate grains from their diet – sometimes several pounds per week. Minimize drinking fruit juice unless they are made with a cold process juicer that does not eliminate the fiber in the fruit. Fruit juice disrupts blood sugar. Eat dark green vegetables at lunch and dinner with a palm sized piece of protein. Eat a snack in between and make sure it is protein (like a piece of cheese). CLA (Conjugated Linoleic Acid) is a naturally occurring polyunsaturated fatty acid present in small quantities in many foods (e.g. meat and dairy products). However, the changes in the way beef, chickens, and other animals are fed and raised over the past few decades has resulted in a drastic reduction in the amount of CLA in the average North American Diet. Although the human body does not make CLA, it is readily absorbed from food and in supplement form. CLA is essential for the delivery of dietary fat into cells; it transports glucose into cells where it can be used to build muscle and produce energy rather than being converted to fat. This mechanism of action of CLA makes it a useful supplement in weight loss programs. Deficiency studies in humans have not been conducted; however, scientists think that weight gain might be a result of a deficiency. CLA is also a very potent antioxidant and exhibits properties which enhance the immune system. No known toxicity or serious side effects have been reported. Use with caution in individuals with diabetes or in those who may be predisposed to hypoglycemia (low sugar level). Caution is also warranted as t10c12 CLA increased insulin resistance and dyslipidemia in individuals with metabolic syndrome (Metabolic syndrome is the name for a group of factors that increase one’s risk of heart disease, stroke and diabetes; these factors include a large waistline, low “good” HDL cholesterol, as well as high blood pressure, high triglycerides (blood fats) and high blood sugar levels). Blood sugar should be monitored regularly as dosage of hypoglycemia medications may require adjustment. Use with caution in individuals with autoimmune disorders or those who are using immunosuppressant agents. Effects of drugs with hypoglycemic activity may be potentiated (including insulin and oral hypoglycemics). Use with caution in individuals who are using anti-hypertensive agents. 1000-2000 mg 3 times daily in divided doses. The estimated daily intake of CLA for women is 0.35 g/day and for men is 0.43 g/day, predominantly from milk and milk products. Hormone and antibiotic free whey protein isolate 90%, Tonalin conjugated linoleic acid, xylitol, cocoa powder, natural chocolate flavours, xanthan gum, stevia and sodium. Per scoop (40.7 g) this product contains 2500mg of conjugated linolenic acid and 20g of Protein. Add 1 scoop to 250ml of water, yogurt, coconut milk or blend into a smoothie to taste. for weight management, take 2 scoops a day for a total of 5000mg of CLA. Take a few hours before or after taking other medications. Adults (12 years and older): Take 6 capsules of CLA Plus per day with food. Green tea is made from the Camellia sinensis plant. Unlike black tea, green tea is not fermented, so the important molecules of green tea like polyphenols are not destroyed in the process and can produce the beneficial health effects. 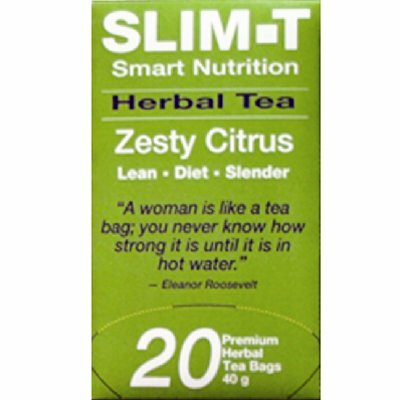 Catechins is the major component of green tea extract that is thought to aid in weight loss. The mechanism of action of green tea preparations in reducing weight is not fully known but researchers believe that it involves thermogenesis (increasing energy expenditure). No known toxicity or serious side effects have been reported. Prolonged or large doses might cause adverse effects such as stomach upset. Use with caution in pregnancy, lactation and in children < 2 years old. Caution is also required for individuals with anemia, hepatic disease or certain types of cancer such as breast or prostate. We carry a product called CLA Plus, which contains both CLA and Green Tea Extract. Please refer to above for more details. Garcinia cambogia fruit extract, hibiscus flowers, natural flavours, green tea leaves, malva leaves, hawthorn berries, parsley root, lemon peels, citric acid, cranberries. For hot herbal tea, use 1 tea bag per cup. Add boiling water and steep for 3 minutes or until you obtain desired taste. Remove tea bag and enjoy! For iced tea pour 2 cups of boiling water over 4 tea bags. Steep 5 minutes. Remove tea bags. Add two cups of cold water and chill. A very well-researched ingredient derived from carob called Chirositol has been involved in more than 30 published studies at the Virginia Medical School over the past 25 years. A couple of the articles can be found here: Read more… Read more..
Research on Chirositol has shown excellent results in the treatment of insulin resistant conditions like type 2 diabetes, metabolic syndrome and PCOS as well as weight loss and especially belly fat. Chirositol stimulates insulin activity, helps to regulate glucose levels, and pushes glucose into the cells where they are supposed to be (not leaving it in the blood), which in turn helps to normalize blood sugar levels. Elevated blood sugar after eating is one of the causes of weight gain and belly fat. This happens because insulin is produced by the pancreas to take glucose from blood stream into cells and if glucose is lying around in your blood, your body thinks it needs to produce more insulin to take these glucose molecules into cells. Eventually, your cells can become resistant to insulin, due to excess insulin levels in your body. Insulin resistance is a pre-diabetic condition. Type-2 diabetes and metabolic syndrome as well as elevated cholesterol and triglycerides ultimately result if elevated blood sugar is not controlled. And all this is what causes belly fat and weight gain. In women, when insulin levels increase, some male hormones, particularly testosterone, are produced in excess by the body. When insulin and testosterone are elevated, women develop hormone related conditions like acne, male-pattern facial hair growth (e.g. hair above the lip, on and under the chin), infertility, and polycystic ovarian syndrome (PCOS). Chirositol has been researched for the treatment of PCOS with excellent results in restoring fertility, reducing weight, and halting male facial hair growth and acne. In men, elevated insulin causes testosterone to convert to estrogens (which results in breasts and beer belly) and also causes conversion of testosterone to DHT, a harmful male hormone associated with prostate cancer and hair loss. Read more… Chirositol normalizes insulin and testosterone thereby promoting weight loss. Chirositol has further been shown to reduce appetite and improve serotonin level, our happy hormone. Read more… Reduced serotonin or poor metabolism of serotonin is linked to increased sugar cravings. Read more… So by restoring serotonin, chirositol also helps control appetite. Possibly safe for most adults. It might cause dizziness, tiredness or nausea. The safety of chirositol for pregnant or lactating women is unknown. Taking large doses of chirositol might make bipolar disease worse. 600 mg of chirositol per day. Direction for Use: Take 1 capsule per day. If you are over 160 lbs, take 2 capsules per day or as directed by a health care practitioner. Take with food. When you are under constant stress, your adrenal glands pump out a hormone called cortisol to help you deal with the stress you are facing. Elevated cortisol is associated with elevating insulin, blood sugar problems, fat accumulation, difficulty handling stress, insomnia and more. Cortisol also causes fat cells to change structure and become resistant to fat loss. For these reasons, it is imperative to reduce stress and to support the adrenals too. 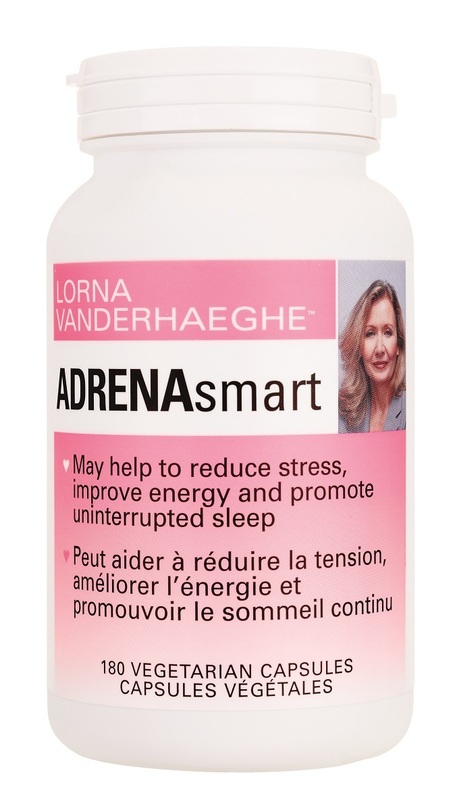 A few adrenal support nutrients include Ashwagandha, Rhodiola, and Licorice Extract which work to normalize adrenal function. Conjugated Linoleic Acid (CLA). Natural Medicines Comprehensive Database [cited 2015 June 18]. Mitchell NS, Catenacci VA, Wyatt HR, Hill JO. Obesity: overview of an epidemic. Psychiatr Clin North Am. 2011 [cited 2015 June 18]. 34(4):717–32. Green Tea Extract. Natural Medicines Comprehensive Database [cited 2015 June 25].